The milestone – I reached it! So a friend and veteran distance runner told me that reaching 18 miles is a milestone. I couldn’t wait to get there. I was nervous about it. And excited about it. 18 miles? That would be the longest run I’ve done plus 3 miles. Could I do it? Well of course! Yes. 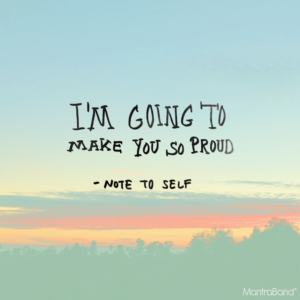 I was going to make myself proud. And that’s what I told my husband before I started. I’d be thrilled if I…. excuse me… WHEN I… completed it. But I would not be disappointed if my body wasn’t quite there yet. Either way. I’d be making myself proud. Two weeks ago called for flexibility… because I was wiped out of training for several days… thank you flu bug for hitting both my husband and I. We had quite a fun household for several days. So I couldn’t get my weekly miles in… but yet I was still scheduled to run a 15 miler that weekend. If I had just had a cold or something, I would have run through that. But the flu? No thanks. So I didn’t run. For too many days in a row. That’s my flexibility – listen to your body and let it heal! My stubbornness? I was running that 15 miles. And I did. And it went fine. But trust me, I was nervous after taking time off – what if I didn’t make it? And that nervousness spilled over into thinking about the 18 miler. Would that time off affect me at all? To answer that question – it doesn’t appear to have affected me. This past week I slipped back into my weekly mileage. All was well. Until I reviewed my training plan that Saturday and realized that the 18 miler was coming up SOON. As in the next day. That was a challenge. And I did it. I can do anything. And I will. Next couple weeks are “easy”. (Ok, nothing is EASY, but no big long runs like that for 2 weeks). My goals for these next couple weeks? Chill out and enjoy the “shorter” miles. And continue to work on improving my nutrition so my body adequately recovers from this weekend and continues to allow me to reach my goals. I’ll put this out there too – if anyone is looking for a slower-ish running buddy to make these miles fly by, let me know! I’m solo running right now, but would definitely enjoy fellow runners on some runs – longer runs, shorter runs, doesn’t matter to me!